In this, the third post in our series on connecting Veeam with Backblaze B2 Cloud Storage, we discuss how to back up your VMs to B2 using Veeam and OpenDedup. In our previous posts, we covered how to connect Veeam to the B2 cloud using Synology, and how to connect Veeam with B2 using StarWind VTL. Deduplication is simply the process of eliminating redundant data on disk. Deduplication reduces storage space requirements, improves backup speed, and lowers backup storage costs. The dedup field used to be dominated by a few big-name vendors who sold dedup systems that were too expensive for most of the SMB market. Then an open-source challenger came along in OpenDedup, a project that produced the Space Deduplication File System (SDFS). SDFS provides many of the features of commercial dedup products without their cost. OpenDedup provides inline deduplication that can be used with applications such as Veeam, Veritas Backup Exec, and Veritas NetBackup. Why use Veeam with OpenDedup to Backblaze B2? With your VMs backed up to B2, you have a number of options to recover from a disaster. If the unexpected occurs, you can quickly restore your VMs from B2 to the location of your choosing. You also have the option to bring up cloud compute through B2’s compute partners, thereby minimizing any loss of service and ensuring business continuity. Backblaze’s B2 is an ideal solution for backing up Veeam’s backup repository due to B2’s combination of low-cost and high availability. Users of B2 save up to 75% compared to other cloud solutions such as Microsoft Azure, Amazon AWS, or Google Cloud Storage. When combined with OpenDedup’s no-cost deduplication, you’re got an efficient and economical solution for backing up VMs to the cloud. For step-by-step instructions for how to set up OpenDedup for use with B2 on Windows or Linux, see Backblaze B2 Enabled on the OpenDedup website. Are you backing up Veeam to B2 using one of the solutions we’ve written about in this series? If you have, we’d love to hear from you in the comments. View all posts in the Veeam series. 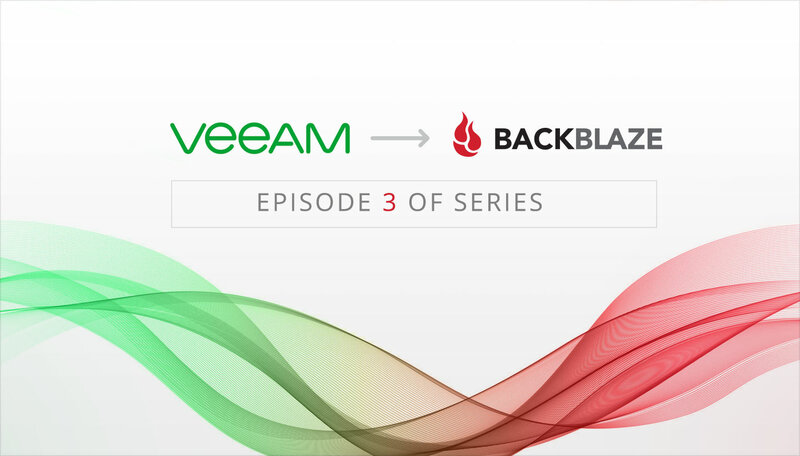 The post Connect Veeam to the B2 Cloud: Episode 3 — Using OpenDedup appeared first on Backblaze Blog | Cloud Storage & Cloud Backup. The EU’s General Data Protection Regulation (GDPR) describes data processor and data controller roles, and some customers and AWS Partner Network (APN) partners are asking how this affects the long-established AWS Shared Responsibility Model. I wanted to take some time to help folks understand shared responsibilities for us and for our customers in context of the GDPR. How does the AWS Shared Responsibility Model change under GDPR? The short answer – it doesn’t. AWS is responsible for securing the underlying infrastructure that supports the cloud and the services provided; while customers and APN partners, acting either as data controllers or data processors, are responsible for any personal data they put in the cloud. The shared responsibility model illustrates the various responsibilities of AWS and our customers and APN partners, and the same separation of responsibility applies under the GDPR. The GDPR does introduce specific regulation and responsibilities regarding data controllers and processors. When any AWS customer uses our services to process personal data, the controller is usually the AWS customer (and sometimes it is the AWS customer’s customer). However, in all of these cases, AWS is always the data processor in relation to this activity. This is because the customer is directing the processing of data through its interaction with the AWS service controls, and AWS is only executing customer directions. As a data processor, AWS is responsible for protecting the global infrastructure that runs all of our services. Controllers using AWS maintain control over data hosted on this infrastructure, including the security configuration controls for handling end-user content and personal data. Protecting this infrastructure, is our number one priority, and we invest heavily in third-party auditors to test our security controls and make any issues they find available to our customer base through AWS Artifact. Our ISO 27018 report is a good example, as it tests security controls that focus on protection of personal data in particular. AWS has an increased responsibility for our managed services. Examples of managed services include Amazon DynamoDB, Amazon RDS, Amazon Redshift, Amazon Elastic MapReduce, and Amazon WorkSpaces. These services provide the scalability and flexibility of cloud-based resources with less operational overhead because we handle basic security tasks like guest operating system (OS) and database patching, firewall configuration, and disaster recovery. For most managed services, you only configure logical access controls and protect account credentials, while maintaining control and responsibility of any personal data. Our customers can act as data controllers or data processors within their AWS environment. As a data controller, the services you use may determine how you configure those services to help meet your GDPR compliance needs. For example, AWS Services that are classified as Infrastructure as a Service (IaaS), such as Amazon EC2, Amazon VPC, and Amazon S3, are under your control and require you to perform all routine security configuration and management that would be necessary no matter where the servers were located. With Amazon EC2 instances, you are responsible for managing: guest OS (including updates and security patches), application software or utilities installed on the instances, and the configuration of the AWS-provided firewall (called a security group). To help you realize data protection by design principles under the GDPR when using our infrastructure, we recommend you protect AWS account credentials and set up individual user accounts with Amazon Identity and Access Management (IAM) so that each user is only given the permissions necessary to fulfill their job duties. We also recommend using multi-factor authentication (MFA) with each account, requiring the use of SSL/TLS to communicate with AWS resources, setting up API/user activity logging with AWS CloudTrail, and using AWS encryption solutions, along with all default security controls within AWS Services. You can also use advanced managed security services, such as Amazon Macie, which assists in discovering and securing personal data stored in Amazon S3. For more information, you can download the AWS Security Best Practices whitepaper or visit the AWS Security Resources or GDPR Center webpages. In addition to our solutions and services, AWS APN partners can provide hundreds of tools and features to help you meet your security objectives, ranging from network security and configuration management to access control and data encryption. The very short version is that a UK bank, TSB, which had been merged into and then many years later was spun out of Lloyds Bank, was bought by the Spanish bank Banco Sabadell in 2015. Lloyds had continued to run the TSB systems and was to transfer them over to Sabadell over the weekend. It’s turned out to be an epic failure, and it’s not clear if and when this can be straightened out. It is bad enough that bank IT problem had been so severe and protracted a major newspaper, The Guardian, created a live blog for it that has now been running for two days. The more serious issue is the fact that customers still can’t access online accounts and even more disconcerting, are sometimes being allowed into other people’s accounts, says there are massive problems with data integrity. That’s a nightmare to sort out. Even worse, the fact that this situation has persisted strongly suggests that Lloyds went ahead with the migration without allowing for a rollback. This seems to be a mistake, and not enemy action. This blog post was co-authored by Ujjwal Ratan, a senior AI/ML solutions architect on the global life sciences team. Healthcare data is generated at an ever-increasing rate and is predicted to reach 35 zettabytes by 2020. Being able to cost-effectively and securely manage this data whether for patient care, research or legal reasons is increasingly important for healthcare providers. I realize simply storing this data is challenging enough. Magnifying the problem is the fact that healthcare data is increasingly attractive to cyber attackers, making security a top priority. According to Mariya Yao in her Forbes column, it is estimated that individual medical records can be worth hundreds or even thousands of dollars on the black market. In this first of a 2-part post, I will address the value that AWS can bring to customers for ingesting, storing and protecting provider’s healthcare data. I will describe key components of any cloud-based healthcare workload and the services AWS provides to meet these requirements. In part 2 of this post we will dive deep into the AWS services used for advanced analytics, artificial intelligence and machine learning. Data from these sources can be structured (e.g., claims data) as well as unstructured (e.g., clinician notes). Some data comes across in streams such as that taken from patient monitors, while some comes in batch form. Still other data comes in near-real time such as HL7 messages. All of this data has retention policies dictating how long it must be stored. Much of this data is stored in perpetuity as many systems in use today have no purge mechanism. AWS has services to manage all these data types as well as their retention, security and access policies. Imaging is a significant contributor to this data tsunami. Increasing demand for early-stage diagnoses along with aging populations drive increasing demand for images from CT, PET, MRI, ultrasound, digital pathology, X-ray and fluoroscopy. For example, a thin-slice CT image can be hundreds of megabytes. Increasing demand and strict retention policies make storage costly. Although genomics is primarily used for oncology diagnostics today, it’s also used for other purposes, pharmacogenomics — used to understand how an individual will metabolize a medication. It is increasingly challenging for the typical hospital, clinic or physician practice to securely store, process and manage this data without cloud adoption. Amazon has a variety of ingestion techniques depending on the nature of the data including size, frequency and structure. AWS Snowball and AWS Snowmachine are appropriate for extremely-large, secure data transfers whether one time or episodic. AWS Glue is a fully-managed ETL service for securely moving data from on-premise to AWS and Amazon Kinesis can be used for ingesting streaming data. Amazon S3, Amazon S3 IA, and Amazon Glacier are economical, data-storage services with a pay-as-you-go pricing model that expand (or shrink) with the customer’s requirements. The above architecture has four distinct components – ingestion, storage, security, and analytics. In this post I will dive deeper into the first three components, namely ingestion, storage and security. In part 2, I will look at how to use AWS’ analytics services to draw value on, and optimize, your healthcare data. A typical provider data center will consist of many systems with varied datasets. AWS provides multiple tools and services to effectively and securely connect to these data sources and ingest data in various formats. The customers can choose from a range of services and use them in accordance with the use case. For use cases involving one-time (or periodic), very large data migrations into AWS, customers can take advantage of AWS Snowball devices. These devices come in two sizes, 50 TB and 80 TB and can be combined together to create a petabyte scale data transfer solution. The devices are easy to connect and load and they are shipped to AWS avoiding the network bottlenecks associated with such large-scale data migrations. The devices are extremely secure supporting 256-bit encryption and come in a tamper-resistant enclosure. AWS Snowball imports data in Amazon S3 which can then interface with other AWS compute services to process that data in a scalable manner. For use cases involving a need to store a portion of datasets on premises for active use and offload the rest on AWS, the Amazon storage gateway service can be used. The service allows you to seamlessly integrate on premises applications via standard storage protocols like iSCSI or NFS mounted on a gateway appliance. 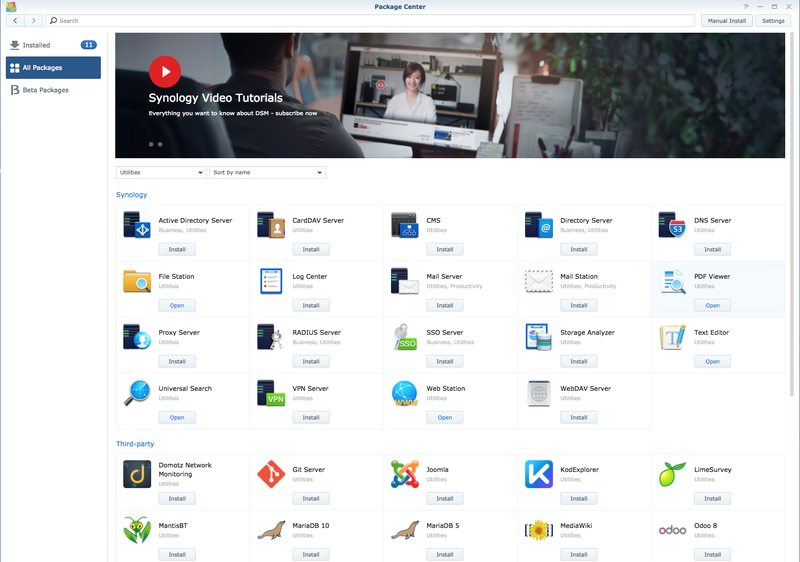 It supports a file interface, a volume interface and a tape interface which can be utilized for a range of use cases like disaster recovery, backup and archiving, cloud bursting, storage tiering and migration. The AWS Storage Gateway appliance can use the AWS Direct Connect service to establish a dedicated network connection from the on premises data center to AWS. By using the AWS proposed reference architecture for disaster recovery, healthcare providers can ensure their data assets are securely stored on the cloud and are easily accessible in the event of a disaster. The “AWS Disaster Recovery” whitepaper includes details on options available to customers based on their desired recovery time objective (RTO) and recovery point objective (RPO). AWS is an ideal destination for offloading large volumes of less-frequently-accessed data. These datasets are rarely used in active compute operations but are exceedingly important to retain for reasons like compliance. By storing these datasets on AWS, customers can take advantage of the highly-durable platform to securely store their data and also retrieve them easily when they need to. For more details on how AWS enables customers to run back and archival use cases on AWS, please refer to the following set of whitepapers. A healthcare provider may have a variety of databases spread throughout the hospital system supporting critical applications such as EHR, PACS, finance and many more. These datasets often need to be aggregated to derive information and calculate metrics to optimize business processes. 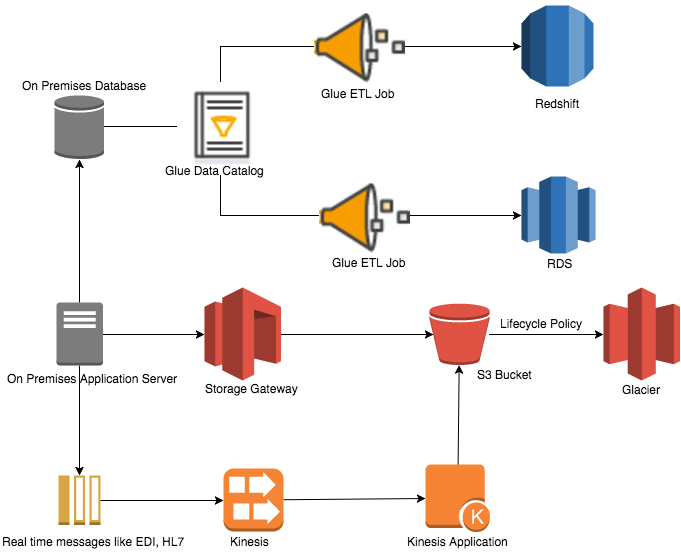 AWS Glue is a fully-managed Extract, Transform and Load (ETL) service that can read data from a JDBC-enabled, on-premise database and transfer the datasets into AWS services like Amazon S3, Amazon Redshift and Amazon RDS. This allows customers to create transformation workflows that integrate smaller datasets from multiple sources and aggregates them on AWS. Healthcare providers deal with a variety of streaming datasets which often have to be analyzed in near real time. These datasets come from a variety of sources such as sensors, messaging buses and social media, and often do not adhere to an industry standard. The Amazon Kinesis suite of services, that includes Amazon Kinesis Streams, Amazon Kinesis Firehose, and Amazon Kinesis Analytics, are the ideal set of services to accomplish the task of deriving value from streaming data. Let’s consider a scenario in which a provider maintains patient records in a database they want to ingest into S3. The provider also wants to de-identify the data by stripping personally- identifiable attributes and store the non-identifiable information in an S3 bucket. This bucket is different from the one that contains identifiable information. Doing this allows the healthcare provider to separate sensitive information with more restrictions set up via S3 bucket policies. To ingest records into S3, we create a Glue job that reads from the source database using a Glue connection. The connection is also used by a Glue crawler to populate the Glue data catalog with the schema of the source database. We will use the Glue development endpoint and a zeppelin notebook server on EC2 to develop and execute the job. Step 3: Now select the columns that contains indentifiable information and store it in a new dataframe. Call the new dataframe “phi”. Step 4: Non-PHI columns are stored in a separate dataframe. Call this dataframe “nonphi”. Once successfully executed, the PHI and non-PHI attributes are stored in two separate files in two separate buckets that can be individually maintained. In 2016, 327 healthcare providers reported a protected health information (PHI) breach, affecting 16.4m patient records. There have been 342 data breaches reported in 2017 — involving 3.2 million patient records. To date, AWS has released 51 HIPAA-eligible services to help customers address security challenges and is in the process of making many more services HIPAA-eligible. These HIPAA-eligible services (along with all other AWS services) help customers build solutions that comply with HIPAA security and auditing requirements. A catalogue of HIPAA-enabled services can be found at AWS HIPAA-eligible services. It is important to note that AWS manages physical and logical access controls for the AWS boundary. However, the overall security of your workloads is a shared responsibility, where you are responsible for controlling user access to content on your AWS accounts. AWS storage services allow you to store data efficiently while maintaining high durability and scalability. By using Amazon S3 as the central storage layer, you can take advantage of the Amazon S3 storage management features to get operational metrics on your data sets and transition them between various storage classes to save costs. By tagging objects on Amazon S3, you can build a governance layer on Amazon S3 to grant role based access to objects using Amazon IAM and Amazon S3 bucket policies. To learn more about the Amazon S3 storage management features, see the following link. In the example above, we are storing the PHI information in a bucket named “phi.” Now, we want to protect this information to make sure its encrypted, does not have unauthorized access, and all access requests to the data are logged. Encryption: S3 provides settings to enable default encryption on a bucket. This ensures any object in the bucket is encrypted by default. Logging: S3 provides object level logging that can be used to capture all API calls to the object. The API calls are logged in cloudtrail for easy access and consolidation. Moreover, it also supports events to proactively alert customers of read and write operations. In Part 1 of this blog, we detailed the ingestion, storage, security and management of healthcare data on AWS. Stay tuned for part two where we are going to dive deep into optimizing the data for analytics and machine learning. Please visit Healthcare Providers and Insurers in the Cloud for additional information. Stephen Jepsen is a Globa l HCLS Practice Manager in AWS Professional Services. In 2015, we announced Backblaze B2 Cloud Storage — the most affordable, high performance storage cloud on the planet. The decision to release B2 as a service was in direct response to customers asking us if they could use the same cloud storage infrastructure we use for our Computer Backup service. With B2, we entered a market in direct competition with Amazon S3, Google Cloud Services, and Microsoft Azure Storage. Today, we have over 500 petabytes of data from customers in over 150 countries. At $0.005 / GB / month for storage (1/4th of S3) and $0.01 / GB for downloads (1/5th of S3), it turns out there’s a healthy market for cloud storage that’s easy and affordable. As B2 has grown, customers wanted to use our cloud storage for a variety of use cases that required not only storage but compute. We’re happy to say that through partnerships with Packet & ServerCentral, today we’re announcing that compute is now available for B2 customers. Backblaze has directly connected B2 with the compute servers of Packet and ServerCentral, thereby allowing near-instant (< 10 ms) data transfers between services. Also, transferring data between B2 and both our compute partners is free. Storing data in B2 and want to run an AI analysis on it? — There are no fees to move the data to our compute partners. Generating data in an application? — Run the application with one of our partners and store it in B2. Transfers are free and you’ll save more than 50% off of the equivalent set of services from AWS. 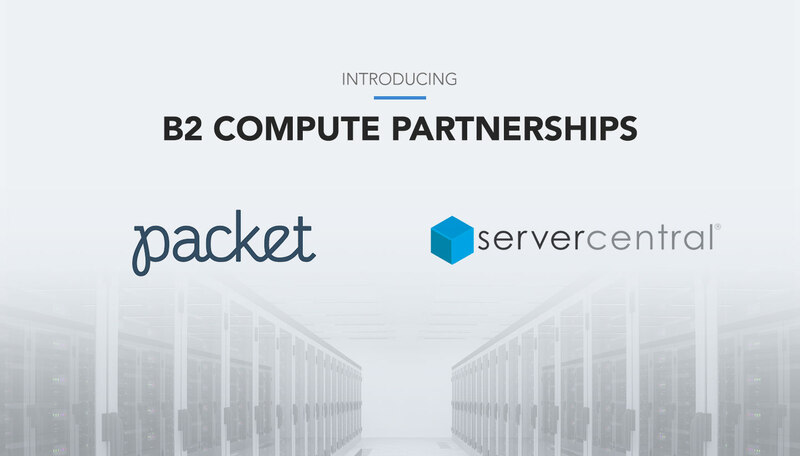 These partnerships enable B2 customers to use compute, give our compute partners’ customers access to cloud storage, and introduce new customers to industry-leading storage and compute — all with high-performance, low-latency, and low-cost. B2 has earned wide adoption in the Media & Entertainment (“M&E”) industry. Our affordable storage and download pricing make B2 great for a wide variety of M&E use cases. But many M&E workflows require compute. Content syndicators, like American Public Television, need the ability to transcode files to meet localization and distribution management requirements. There are a multitude of reasons that transcode is needed — thumbnail and proxy generation enable M&E professionals to work efficiently. Without compute, the act of transcoding files remains cumbersome. Either the files need to be brought down from the cloud, transcoded, and then pushed back up or they must be kept locally until the project is complete. Both scenarios are inefficient. Starting today, any content producer can spin up compute with one of our partners, pay by the hour for their transcode processing, and return the new media files to B2 for storage and distribution. The company saves money, moves faster, and ensures their files are safe and secure. Backblaze’s heritage is based on providing outstanding backup services. When you have incredibly affordable cloud storage, it ends up being a great destination for your backup data. Most enterprises have virtual machines (“VMs”) running in their infrastructure and those VMs need to be backed up. In a disaster scenario, a business wants to know they can get back up and running quickly. With all data stored in B2, a business can get up and running quickly. Simply restore your backed up VM to one of our compute providers, and your business will be able to get back online. Since B2 does not place restrictions, delays, or penalties on getting data out, customers can get back up and running quickly and affordably. Ten years ago, Backblaze decided that S3 was too costly a platform to build its cloud storage business. Instead, we created the Backblaze Storage Pod and our own cloud storage infrastructure. That decision enabled us to offer our customers storage at a previously unavailable price point and maintain those prices for over a decade. It also laid the foundation for Netflix Open Connect and Facebook Open Compute. Dropbox recently migrated the majority of their cloud services off of AWS and onto Dropbox’s own infrastructure. By leaving AWS, Dropbox was able to build out their own data centers and still save over $74 Million. They achieved those savings by avoiding the fees AWS charges for storing and downloading data, which, incidentally, are five times higher than Backblaze B2. For Dropbox, being able to realize savings was possible because they have access to enough capital and expertise that they can build out their own infrastructure. For companies that have such resources and scale, that’s a great answer. The questions Backblaze and our compute partners pondered was “how can we democratize the Dropbox effect for our storage and compute customers? How can we help customers do more and pay less?” The answer we came up with was to connect Backblaze’s B2 storage with strategic compute partners and remove any transfer fees between them. You may not save $74 million as Dropbox did, but you can choose the optimal providers for your use case and realize significant savings in the process. We’re very fortunate to be launching our compute program with two fantastic partners in Packet and ServerCentral. These partners allow us to offer a range of computing services. We recommend Packet for customers that need on-demand, high performance, bare metal servers available by the hour. They also have robust offerings for private / customized deployments. Their offerings end up costing 50-75% of the equivalent offerings from EC2. To get started with Packet and B2, visit our partner page on Packet.net. ServerCentral is the right partner for customers that have business and IT challenges that require more than “just” hardware. They specialize in fully managed, custom cloud solutions that solve complex business and IT challenges. ServerCentral also has expertise in managed network solutions to address global connectivity and content delivery. To get started with ServerCentral and B2, visit our partner page on ServerCentral.com. We’re excited to find out. The combination of B2 and compute unlocks use cases that were previously impossible or at least unaffordable. What can you do with B2 & compute? Please share your ideas with us in the comments. And, for those attending NAB 2018 in Las Vegas next week, please come by and say hello! The post Backblaze Announces B2 Compute Partnerships appeared first on Backblaze Blog | Cloud Storage & Cloud Backup. Applying technology to healthcare data has the potential to produce many exciting and important outcomes. The analysis produced from healthcare data can empower clinicians to improve the health of individuals and populations by enabling them to make better decisions that enhance the care they provide. The Observational Health Data Sciences and Informatics (OHDSI, pronounced “Odyssey”) program and community is working toward this goal by producing data standards and open-source solutions to store and analyze observational health data. 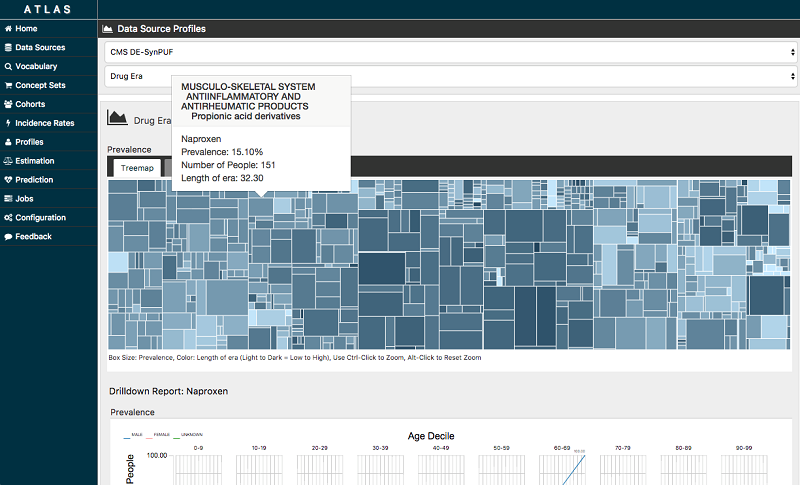 Using the OHDSI tools, you can visualize the health of your entire population. You can build cohorts of patients, analyze incidence rates for various conditions, and estimate the effect of treatments on patients with certain conditions. You can also model health outcome predictions using machine learning algorithms. One of the challenges often faced when working with big data tools is the expense of the infrastructure required to run them. Another challenge is the learning curve to implement and begin using these tools. Amazon Web Services has enabled us to address many of the classic IT challenges by making enterprise class infrastructure and technology available in an affordable, elastic, and automated way. 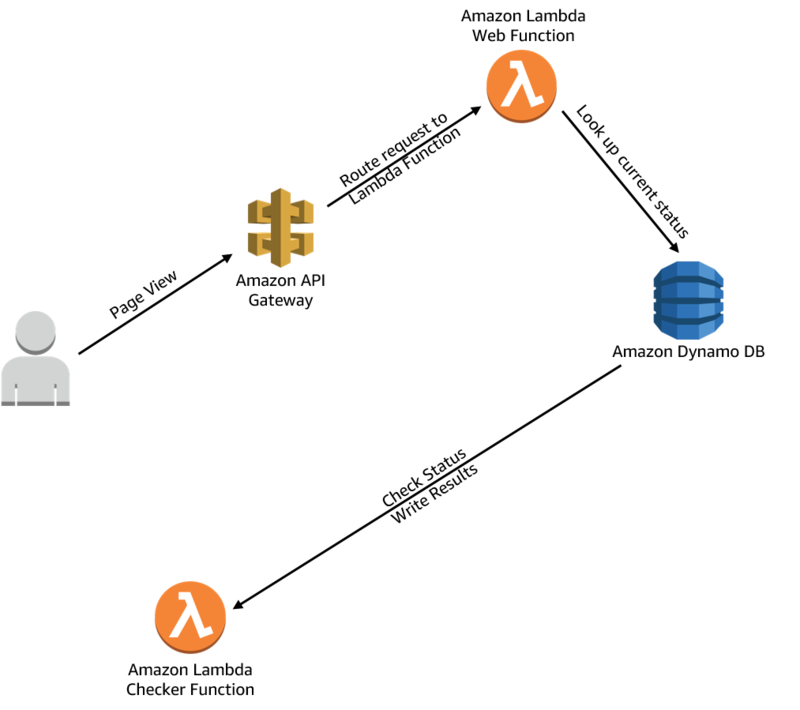 This blog post demonstrates how to combine some of the OHDSI projects (Atlas, Achilles, WebAPI, and the OMOP Common Data Model) with AWS technologies. By doing so, you can quickly and inexpensively implement a health data science and informatics environment. Shown following is just one example of the population health analysis that is possible with the OHDSI tools. This visualization shows the prevalence of various drugs within the given population of people. This information helps researchers and clinicians discover trends and make better informed decisions about patient health. Before deploying an application on AWS that transmits, processes, or stores protected health information (PHI) or personally identifiable information (PII), address your organization’s compliance concerns. Make sure that you have worked with your internal compliance and legal team to ensure compliance with the laws and regulations that govern your organization. To understand how you can use AWS services as a part of your overall compliance program, see the AWS HIPAA Compliance whitepaper. With that said, we paid careful attention to the HIPAA control set during the design of this solution. Following, you can see a block diagram of how the OHDSI tools map to the services provided by AWS. Atlas is the web application that researchers interact with to perform analysis. Atlas interacts with the underlying databases through a web services application named WebAPI. 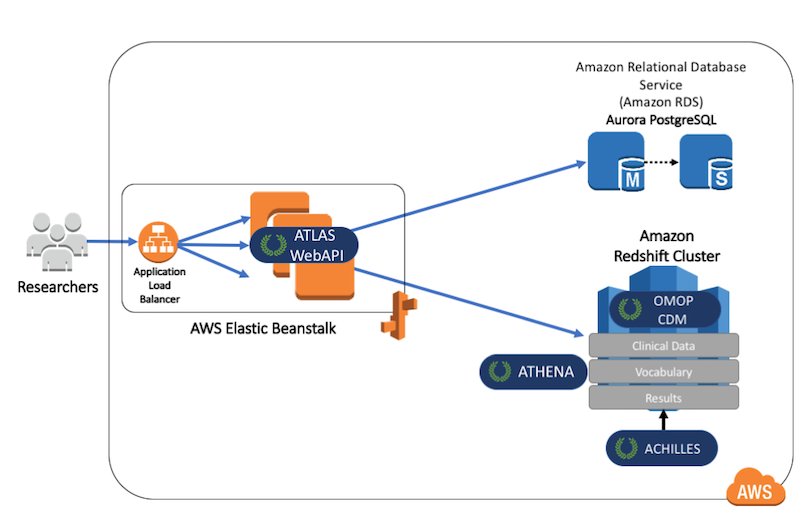 In this example, both Atlas and WebAPI are deployed and managed by AWS Elastic Beanstalk. Elastic Beanstalk is an easy-to-use service for deploying and scaling web applications. Simply upload the Atlas and WebAPI code and Elastic Beanstalk automatically handles the deployment. It covers everything from capacity provisioning, load balancing, autoscaling, and high availability, to application health monitoring. Using a feature of Elastic Beanstalk called ebextensions, the Atlas and WebAPI servers are customized to use an encrypted storage volume for the middleware application logs. Atlas stores the state of the various patient cohorts that are analyzed in a dedicated database separate from your observational health data. This database is provided by Amazon Aurora with PostgreSQL compatibility. Amazon Aurora is a relational database built for the cloud that combines the performance and availability of high-end commercial databases with the simplicity and cost-effectiveness of open-source databases. It provides cost-efficient and resizable capacity while automating time-consuming administration tasks such as hardware provisioning, database setup, patching, and backups. It is configured for high availability and uses encryption at rest for the database and backups, and encryption in flight for the JDBC connections. All of your observational health data is stored inside the OHDSI Observational Medical Outcomes Partnership Common Data Model (OMOP CDM). This model also stores useful vocabulary tables that help to translate values from various data sources (like EHR systems and claims data). The OMOP CDM schema is deployed onto Amazon Redshift. Amazon Redshift is a fast, fully managed data warehouse that allows you to run complex analytic queries against petabytes of structured data. It uses using sophisticated query optimization, columnar storage on high-performance local disks, and massively parallel query execution. You can also resize an Amazon Redshift cluster as your requirements for it change. The solution in this blog post automatically loads de-identified sample data of 1,000 people from the CMS 2008–2010 Data Entrepreneurs’ Synthetic Public Use File (DE-SynPUF). The data has helpful formatting from LTS Computing LLC. Vocabulary data from the OHDSI Athena project is also loaded into the OMOP CDM, and a results set is computed by OHDSI Achilles. Following is a detailed technical diagram showing the configuration of the architecture to be deployed. 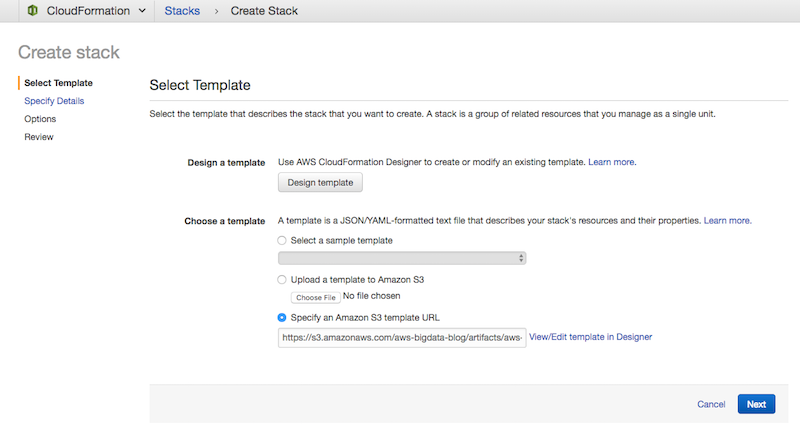 Everything just described is automatically deployed by using an AWS CloudFormation template. Using this template, you can quickly get started with the OHDSI project. The CloudFormation templates for this deployment as well as all of the supporting scripts and source code can be found in the AWS Labs GitHub repo. 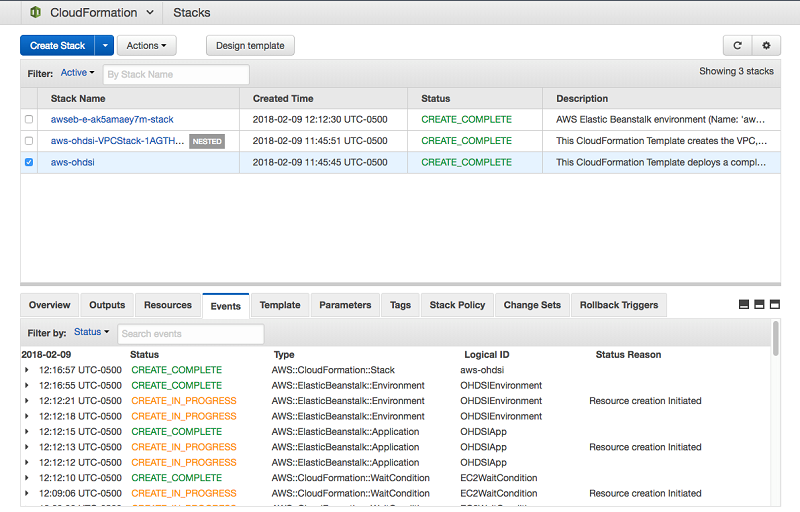 From your AWS account, open the CloudFormation Management Console and choose Create Stack. From there, copy and paste the following URL in the Specify an Amazon S3 template URL box, and choose Next. On the next screen, you provide a Stack Name (this can be anything you like) and a few other parameters for your OHDSI environment. You use the DatabasePassword parameter to set the password for the master user account of the Amazon Redshift and Aurora databases. You use the EBEndpoint name to generate a unique URL for Atlas to access the OHDSI environment. It is http://EBEndpoint.AWS-Region.elasticbeanstalk.com, where EBEndpoint.AWS-Region indicates the Elastic Beanstalk endpoint and AWS Region. You can configure this URL through Elastic Beanstalk if you want to change it in the future. You use the KPair option to choose one of your existing Amazon EC2 key pairs to use with the instances that Elastic Beanstalk deploys. By doing this, you can gain administrative access to these instances in the future if you need to. If you don’t already have an Amazon EC2 key pair, you can generate one for free. You do this by going to the Key Pairs section of the EC2 console and choosing Generate Key Pair. Finally, you use the UserIPRange parameter to specify a CIDR IP address range from which to access your OHDSI environment. By default, your OHDSI environment is accessible over the public internet. Use UserIPRange to limit access over the Internet to a single IP address or a range of IP addresses that represent users you want to have access. Through additional configuration, you can also make your OHDSI environment completely private and accessible only through a VPN or AWS Direct Connect private circuit. When you’ve provided all Parameters, choose Next. On the next screen, you can provide some other optional information like tags at your discretion, or just choose Next. On the next screen, you can review what will be deployed. At the bottom of the screen, there is a check box for you to acknowledge that AWS CloudFormation might create IAM resources with custom names. This is correct; the template being deployed creates four custom roles that give permission for the AWS services involved to communicate with each other. Details of these permissions are inside the CloudFormation template referenced in the URL given in the first step. Check the box acknowledging this and choose Next. You can watch as CloudFormation builds out your OHDSI architecture. A CloudFormation deployment is called a stack. The parent stack creates two child stacks, one containing the VPC and IAM roles and another created by Elastic Beanstalk with the Atlas and WebAPI servers. When all three stacks have reached the green CREATE_COMPLETE status, as shown in the screenshot following, then the OHDSI architecture has been deployed. There is still some work going on behind the scenes, though. To watch the progress, browse to the Amazon Redshift section of your AWS Management Console and choose the Amazon Redshift cluster that was created for your OHDSI architecture. After you do so, you can observe the Loads and Queries tabs. First, on the Loads tab, you can see the CMS De-SynPUF sample data and Athena vocabulary data being loaded into the OMOP Common Data Model. After you see the VOCABULARY table reach the COMPLETED status (as shown following), all of the sample and vocabulary data has been loaded. After the data loads, the Achilles computation starts. On the Queries tab, you can watch Achilles running queries against your database to build out the Results schema. Achilles runs a large number of queries, and the entire process can take quite some time (about 20 minutes for the sample data we’ve loaded). Eventually, no new queries show up in the Queries tab, which shows that the Achilles computation is completed. The entire process from the time you executed the CloudFormation template until the Achilles computation is completed usually takes about an hour and 15 minutes. At this point, you can browse to the Elastic Beanstalk section of the AWS Management Console. There, you can choose the OHDSI Application and Environment (green box) that was deployed by the CloudFormation template. At the top of the dashboard, as shown following, you see a link to a URL. This URL matches the name you provided in the EBEndpoint parameter of the CloudFormation template. Choose this URL, and you can start using Atlas to explore the CMS DE-SynPUF sample data! It used to be common to see healthcare data analytics environments deployed in an on-premises data center with expensive data warehouse appliances and virtualized environments. The cloud era has democratized the availability of the infrastructure required to do this type of data analysis, so that now it is within reach of even small organizations. This environment can expand to analyze petabyte-scale health data, and you only pay for what you need. See an estimated breakdown of the monthly cost components for this environment as deployed on the AWS Solution Calculator. It’s also worth noting that this environment does not have to be run all of the time. If you are only performing analyses periodically, you can terminate the environment when you are finished and restore it from the database backups when you want to continue working. This would reduce the cost of operation even further. Now that you have a fully functional OHDSI environment with sample data, you can use this to explore and learn the toolset and its capabilities. After learning with the sample data, you can begin gaining insights by analyzing your own organization’s health data. You can do this using an extract, transform, load (ETL) process from one or more of your health data sources. 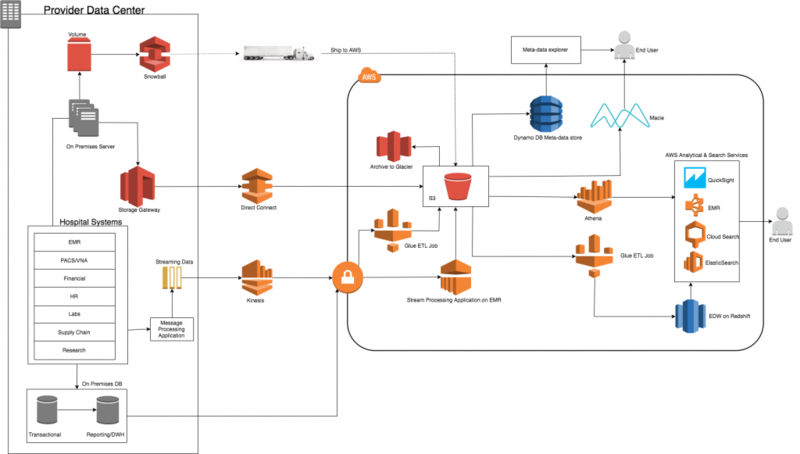 If you found this post useful, be sure to check out Build a Healthcare Data Warehouse Using Amazon EMR, Amazon Redshift, AWS Lambda, and OMOP for info on how to automate data ETL to the OMOP CDM. James Wiggins is a senior healthcare solutions architect at AWS. He is passionate about using technology to help organizations positively impact world health. He also loves spending time with his wife and three children. Recently, I was looking to create a status page app to monitor a few important internal services. I wanted this app to be as lightweight, reliable, and hassle-free as possible, so using a “serverless” architecture that doesn’t require any patching or other maintenance was quite appealing. I also don’t deploy anything in a production AWS environment outside of some sort of template (usually CloudFormation) as a rule. I don’t want to have to come back to something I created ad hoc in the console after 6 months and try to recall exactly how I architected all of the resources. I’ll inevitably forget something and create more problems before solving the original one. So building the status page in a template was a requirement. I settled on a design using two Lambda functions, both written in Python 3.6. The first Lambda function makes requests out to a list of important services and writes their current status to a DynamoDB table. This function is executed once per minute via CloudWatch Event Rule. The second Lambda function reads each service’s status & uptime information from DynamoDB and renders a Jinja template. This function is behind an API Gateway that has been configured to return text/html instead of its default application/json Content-Type. AWS provides a Serverless Application Model template transformer to streamline the templating of Lambda + API Gateway designs, but it assumes (like everything else about the API Gateway) that you’re actually serving an API that returns JSON content. So, unfortunately, it won’t work for this use-case because we want to return HTML content. Instead, we’ll have to enumerate every resource like usual. We’ll be using YAML for the template in this example. I find it easier to read than JSON, but you can easily convert between the two with a converter if you disagree. The CheckerLambda is the actual Lambda function. The Code section is a local path to a ZIP file containing the code and its dependencies. I’m using CloudFormation’s packaging feature to automatically push the deployable to S3. The CheckerLambdaRole is the IAM role the Lambda will assume which grants it access to DynamoDB in addition to the usual Lambda logging permissions. The CheckerLambdaTimer is the CloudWatch Events Rule that triggers the checker to run once per minute. The CheckerLambdaTimerPermission grants CloudWatch the ability to invoke the checker Lambda function on its interval. There’s a lot going on here, but the real meat is in the PageGatewayMethod section. There are a couple properties that deviate from the default which is why we couldn’t use the SAM transformer. First, we’re passing request headers through to the Lambda in theRequestTemplates section. I’m doing this so I can validate incoming auth headers. The API Gateway can do some types of auth, but I found it easier to check auth myself in the Lambda function since the Gateway is designed to handle API calls and not browser requests. Next, note that in the IntegrationResponses section we’re defining the Content-Type header to be ‘text/html’ (with single-quotes) and defining the ResponseTemplate to be $input.path(‘$’). This is what makes the request render as a HTML page in your browser instead of just raw text. Due to the StageName and PathPart values in the other sections, your actual page will be accessible at https://someId.execute-api.region.amazonaws.com/Prod/page. I have the page behind an existing reverse-proxy and give it a saner URL for end-users. The reverse proxy also attaches the auth header I mentioned above. If that header isn’t present, the Lambda will render an error page instead so the proxy can’t be bypassed. The WebRenderLambda and WebRenderLambdaRole should look familiar. The WebRenderLambdaGatewayPermission is similar to the Status Checker’s CloudWatch permission, only this time it allows the API Gateway to invoke this Lambda. We’ve made it this far defining every resource in a template that we can check in to version control, so we might as well script the deployment as well rather than manually manage the CloudFormation Stack via the AWS web console. Uploading to 34cd6e82c5e8205f9b35e71afd9e1548 1922559 / 1922559.0 (100.00%) Successfully packaged artifacts and wrote output template to file template-packaged.yaml. And that’s it! You’ve just created a dynamic web page that will never require you to SSH anywhere, patch a server, recover from a disaster after Amazon terminates your unhealthy EC2, or any other number of pitfalls that are now the problem of some ops person at AWS. And you can reproduce deployments and make changes with confidence because everything is defined in the template and can be tracked in version control. Apache Cassandra is a commonly used, high performance NoSQL database. AWS customers that currently maintain Cassandra on-premises may want to take advantage of the scalability, reliability, security, and economic benefits of running Cassandra on Amazon EC2. Amazon EC2 and Amazon Elastic Block Store (Amazon EBS) provide secure, resizable compute capacity and storage in the AWS Cloud. When combined, you can deploy Cassandra, allowing you to scale capacity according to your requirements. Given the number of possible deployment topologies, it’s not always trivial to select the most appropriate strategy suitable for your use case. Before we jump into best practices for running Cassandra on AWS, we should mention that we have many customers who decided to use DynamoDB instead of managing their own Cassandra cluster. DynamoDB is fully managed, serverless, and provides multi-master cross-region replication, encryption at rest, and managed backup and restore. Integration with AWS Identity and Access Management (IAM) enables DynamoDB customers to implement fine-grained access control for their data security needs. Several customers who have been using large Cassandra clusters for many years have moved to DynamoDB to eliminate the complications of administering Cassandra clusters and maintaining high availability and durability themselves. Gumgum.com is one customer who migrated to DynamoDB and observed significant savings. For more information, see Moving to Amazon DynamoDB from Hosted Cassandra: A Leap Towards 60% Cost Saving per Year. AWS provides options, so you’re covered whether you want to run your own NoSQL Cassandra database, or move to a fully managed, serverless DynamoDB database. Here’s a short introduction to standard Cassandra resources and how they are implemented with AWS infrastructure. If you’re already familiar with Cassandra or AWS deployments, this can serve as a refresher. This typically consists of multiple physical locations, keyspaces, and physical servers. A logical deployment construct in AWS that maps to an AWS CloudFormation StackSet, which consists of one or many CloudFormation stacks to deploy Cassandra. Datacenter A group of nodes configured as a single replication group. A logical deployment construct in AWS. A datacenter is deployed with a single CloudFormation stack consisting of Amazon EC2 instances, networking, storage, and security resources. A datacenter consists of at least one rack. Cassandra tries to place the replicas on different racks. Server/node A physical virtual machine running Cassandra software. An EC2 instance. Token Conceptually, the data managed by a cluster is represented as a ring. The ring is then divided into ranges equal to the number of nodes. Each node being responsible for one or more ranges of the data. Each node gets assigned with a token, which is essentially a random number from the range. The token value determines the node’s position in the ring and its range of data. Managed within Cassandra. Virtual node (vnode) Responsible for storing a range of data. Each vnode receives one token in the ring. A cluster (by default) consists of 256 tokens, which are uniformly distributed across all servers in the Cassandra datacenter. Managed within Cassandra. Replication factor The total number of replicas across the cluster. Managed within Cassandra. One of the many benefits of deploying Cassandra on Amazon EC2 is that you can automate many deployment tasks. In addition, AWS includes services, such as CloudFormation, that allow you to describe and provision all your infrastructure resources in your cloud environment. We recommend orchestrating each Cassandra ring with one CloudFormation template. 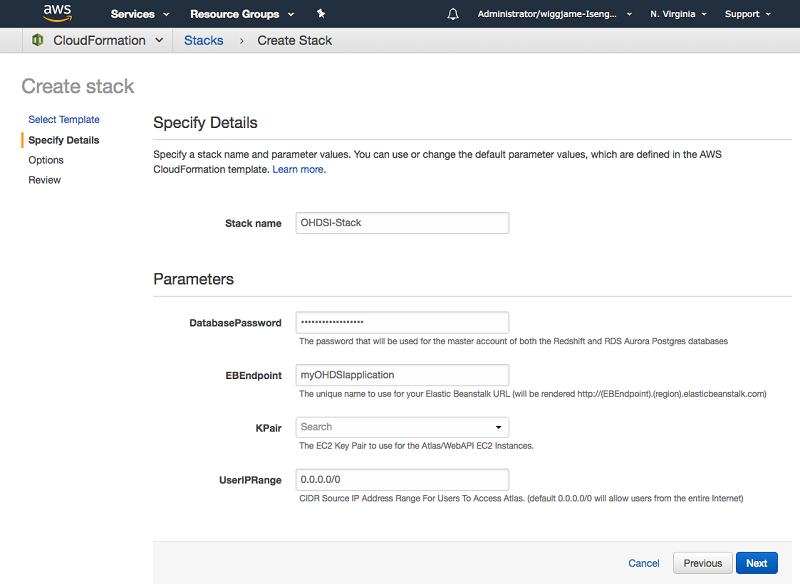 If you are deploying in multiple AWS Regions, you can use a CloudFormation StackSet to manage those stacks. All the maintenance actions (scaling, upgrading, and backing up) should be scripted with an AWS SDK. These may live as standalone AWS Lambda functions that can be invoked on demand during maintenance. You can get started by following the Cassandra Quick Start deployment guide. Keep in mind that this guide does not address the requirements to operate a production deployment and should be used only for learning more about Cassandra. In this section, we discuss various deployment options available for Cassandra in Amazon EC2. A successful deployment starts with thoughtful consideration of these options. Consider the amount of data, network environment, throughput, and availability. 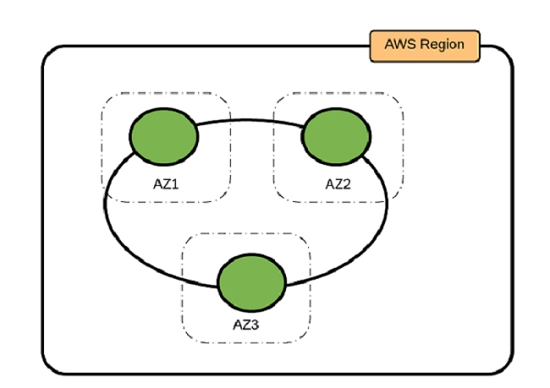 In this pattern, you deploy the Cassandra cluster in one AWS Region and three Availability Zones. There is only one ring in the cluster. By using EC2 instances in three zones, you ensure that the replicas are distributed uniformly in all zones. To ensure the even distribution of data across all Availability Zones, we recommend that you distribute the EC2 instances evenly in all three Availability Zones. The number of EC2 instances in the cluster is a multiple of three (the replication factor). This pattern is suitable in situations where the application is deployed in one Region or where deployments in different Regions should be constrained to the same Region because of data privacy or other legal requirements. ● Highly available, can sustain failure of one Availability Zone. ● Does not protect in a situation when many of the resources in a Region are experiencing intermittent failure. In this pattern, you deploy two rings in two different Regions and link them. The VPCs in the two Regions are peered so that data can be replicated between two rings. We recommend that the two rings in the two Regions be identical in nature, having the same number of nodes, instance types, and storage configuration. This pattern is most suitable when the applications using the Cassandra cluster are deployed in more than one Region. ● No data loss during failover. ● Highly available, can sustain when many of the resources in a Region are experiencing intermittent failures. ● Read/write traffic can be localized to the closest Region for the user for lower latency and higher performance. 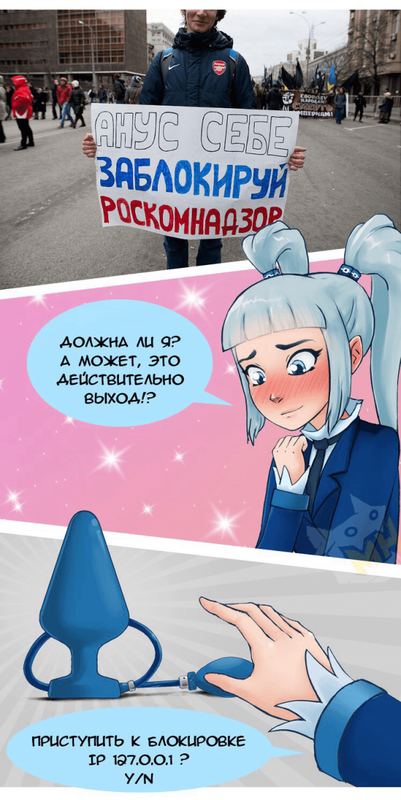 However, the second Region does not receive traffic from the applications. It only functions as a secondary location for disaster recovery reasons. If the primary Region is not available, the second Region receives traffic. This pattern is most suitable when the applications using the Cassandra cluster require low recovery point objective (RPO) and recovery time objective (RTO). ● Highly available, can sustain failure or partitioning of one whole Region. ● High latency for writes for eventual consistency. ● The second Region effectively doubles the cost. Your choice of storage is closely related to the type of workload supported by the Cassandra cluster. Instance store works best for most general purpose Cassandra deployments. However, in certain read-heavy clusters, Amazon EBS is a better choice. If ephemeral storage is required for your application, a storage-optimized (I3) instance is the best option. If your workload requires Amazon EBS, it is best to go with compute-optimized (C5) instances. Burstable instance types (T2) don’t offer good performance for Cassandra deployments. Ephemeral storage is local to the EC2 instance. It may provide high input/output operations per second (IOPs) based on the instance type. An SSD-based instance store can support up to 3.3M IOPS in I3 instances. This high performance makes it an ideal choice for transactional or write-intensive applications such as Cassandra. In general, instance storage is recommended for transactional, large, and medium-size Cassandra clusters. For a large cluster, read/write traffic is distributed across a higher number of nodes, so the loss of one node has less of an impact. However, for smaller clusters, a quick recovery for the failed node is important. As an example, for a cluster with 100 nodes, the loss of 1 node is 3.33% loss (with a replication factor of 3). Similarly, for a cluster with 10 nodes, the loss of 1 node is 33% less capacity (with a replication factor of 3). This results in a higher query performance on each host. However, Cassandra implicitly scales well in terms of horizontal scale. In general, we recommend scaling horizontally first. Then, scale vertically to mitigate specific issues. Note: 3.3M IOPS is observed with 100% random read with a 4-KB block size on Amazon Linux. AWS instance types I3 Compute optimized, C5 Being able to choose between different instance types is an advantage in terms of CPU, memory, etc., for horizontal and vertical scaling. Backup/ recovery Custom Basic building blocks are available from AWS. Amazon EBS offers distinct advantage here. It is small engineering effort to establish a backup/restore strategy. a) In case of an instance failure, the EBS volumes from the failing instance are attached to a new instance. b) In case of an EBS volume failure, the data is restored by creating a new EBS volume from last snapshot. EBS volumes offer higher resiliency, and IOPs can be configured based on your storage needs. EBS volumes also offer some distinct advantages in terms of recovery time. EBS volumes can support up to 32K IOPS per volume and up to 80K IOPS per instance in RAID configuration. They have an annualized failure rate (AFR) of 0.1–0.2%, which makes EBS volumes 20 times more reliable than typical commodity disk drives. The primary advantage of using Amazon EBS in a Cassandra deployment is that it reduces data-transfer traffic significantly when a node fails or must be replaced. The replacement node joins the cluster much faster. However, Amazon EBS could be more expensive, depending on your data storage needs. Cassandra has built-in fault tolerance by replicating data to partitions across a configurable number of nodes. It can not only withstand node failures but if a node fails, it can also recover by copying data from other replicas into a new node. Depending on your application, this could mean copying tens of gigabytes of data. This adds additional delay to the recovery process, increases network traffic, and could possibly impact the performance of the Cassandra cluster during recovery. Data stored on Amazon EBS is persisted in case of an instance failure or termination. The node’s data stored on an EBS volume remains intact and the EBS volume can be mounted to a new EC2 instance. Most of the replicated data for the replacement node is already available in the EBS volume and won’t need to be copied over the network from another node. Only the changes made after the original node failed need to be transferred across the network. That makes this process much faster. EBS volumes are snapshotted periodically. So, if a volume fails, a new volume can be created from the last known good snapshot and be attached to a new instance. This is faster than creating a new volume and coping all the data to it. Most Cassandra deployments use a replication factor of three. However, Amazon EBS does its own replication under the covers for fault tolerance. 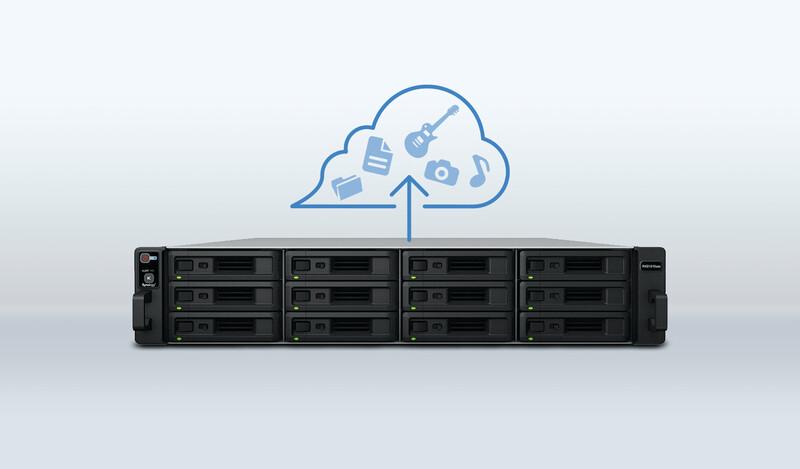 In practice, EBS volumes are about 20 times more reliable than typical disk drives. So, it is possible to go with a replication factor of two. This not only saves cost, but also enables deployments in a region that has two Availability Zones. EBS volumes are recommended in case of read-heavy, small clusters (fewer nodes) that require storage of a large amount of data. Keep in mind that the Amazon EBS provisioned IOPS could get expensive. General purpose EBS volumes work best when sized for required performance. If your cluster is expected to receive high read/write traffic, select an instance type that offers 10–Gb/s performance. As an example, i3.8xlarge and c5.9xlarge both offer 10–Gb/s networking performance. A smaller instance type in the same family leads to a relatively lower networking throughput. Cassandra generates a universal unique identifier (UUID) for each node based on IP address for the instance. This UUID is used for distributing vnodes on the ring. In the case of an AWS deployment, IP addresses are assigned automatically to the instance when an EC2 instance is created. With the new IP address, the data distribution changes and the whole ring has to be rebalanced. This is not desirable. 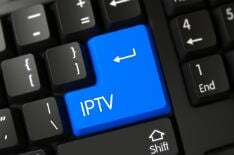 To preserve the assigned IP address, use a secondary elastic network interface with a fixed IP address. Before swapping an EC2 instance with a new one, detach the secondary network interface from the old instance and attach it to the new one. This way, the UUID remains same and there is no change in the way that data is distributed in the cluster. If you are deploying in more than one region, you can connect the two VPCs in two regions using cross-region VPC peering. Cassandra is designed to be fault-tolerant and highly available during multiple node failures. In the patterns described earlier in this post, you deploy Cassandra to three Availability Zones with a replication factor of three. Even though it limits the AWS Region choices to the Regions with three or more Availability Zones, it offers protection for the cases of one-zone failure and network partitioning within a single Region. The multi-Region deployments described earlier in this post protect when many of the resources in a Region are experiencing intermittent failure. Resiliency is ensured through infrastructure automation. The deployment patterns all require a quick replacement of the failing nodes. In the case of a regionwide failure, when you deploy with the multi-Region option, traffic can be directed to the other active Region while the infrastructure is recovering in the failing Region. In the case of unforeseen data corruption, the standby cluster can be restored with point-in-time backups stored in Amazon S3. Cassandra is horizontally scaled by adding more instances to the ring. We recommend doubling the number of nodes in a cluster to scale up in one scale operation. This leaves the data homogeneously distributed across Availability Zones. Similarly, when scaling down, it’s best to halve the number of instances to keep the data homogeneously distributed. Cassandra is vertically scaled by increasing the compute power of each node. Larger instance types have proportionally bigger memory. Use deployment automation to swap instances for bigger instances without downtime or data loss. All three types of upgrades (Cassandra, operating system patching, and instance type changes) follow the same rolling upgrade pattern. In this process, you start with a new EC2 instance and install software and patches on it. Thereafter, remove one node from the ring. For more information, see Cassandra cluster Rolling upgrade. Then, you detach the secondary network interface from one of the EC2 instances in the ring and attach it to the new EC2 instance. Restart the Cassandra service and wait for it to sync. Repeat this process for all nodes in the cluster. 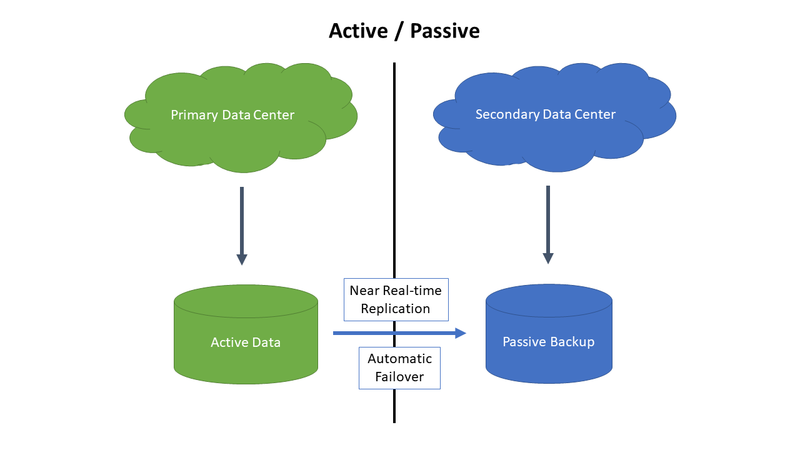 Your backup and restore strategy is dependent on the type of storage used in the deployment. Cassandra supports snapshots and incremental backups. When using instance store, a file-based backup tool works best. Customers use rsync or other third-party products to copy data backups from the instance to long-term storage. For more information, see Backing up and restoring data in the DataStax documentation. This process has to be repeated for all instances in the cluster for a complete backup. These backup files are copied back to new instances to restore. We recommend using S3 to durably store backup files for long-term storage. For Amazon EBS based deployments, you can enable automated snapshots of EBS volumes to back up volumes. New EBS volumes can be easily created from these snapshots for restoration. We recommend that you think about security in all aspects of deployment. The first step is to ensure that the data is encrypted at rest and in transit. The second step is to restrict access to unauthorized users. For more information about security, see the Cassandra documentation. Encryption at rest can be achieved by using EBS volumes with encryption enabled. Amazon EBS uses AWS KMS for encryption. For more information, see Amazon EBS Encryption. Instance store–based deployments require using an encrypted file system or an AWS partner solution. If you are using DataStax Enterprise, it supports transparent data encryption. Cassandra uses Transport Layer Security (TLS) for client and internode communications. The security mechanism is pluggable, which means that you can easily swap out one authentication method for another. You can also provide your own method of authenticating to Cassandra, such as a Kerberos ticket, or if you want to store passwords in a different location, such as an LDAP directory. The authorizer that’s plugged in by default is org.apache.cassandra.auth.Allow AllAuthorizer. Cassandra also provides a role-based access control (RBAC) capability, which allows you to create roles and assign permissions to these roles. In this post, we discussed several patterns for running Cassandra in the AWS Cloud. This post describes how you can manage Cassandra databases running on Amazon EC2. AWS also provides managed offerings for a number of databases. To learn more, see Purpose-built databases for all your application needs. If you found this post useful, be sure to check out Analyze Your Data on Amazon DynamoDB with Apache Spark and Analysis of Top-N DynamoDB Objects using Amazon Athena and Amazon QuickSight. Prasad Alle is a Senior Big Data Consultant with AWS Professional Services. He spends his time leading and building scalable, reliable Big data, Machine learning, Artificial Intelligence and IoT solutions for AWS Enterprise and Strategic customers. His interests extend to various technologies such as Advanced Edge Computing, Machine learning at Edge. In his spare time, he enjoys spending time with his family. Provanshu Dey is a Senior IoT Consultant with AWS Professional Services. He works on highly scalable and reliable IoT, data and machine learning solutions with our customers. In his spare time, he enjoys spending time with his family and tinkering with electronics & gadgets. This is part one of a series. The second part will be posted later this week. Use the Join button above to receive notification of future posts in this series. Though most of us have never set foot inside of a data center, as citizens of a data-driven world we nonetheless depend on the services that data centers provide almost as much as we depend on a reliable water supply, the electrical grid, and the highway system. Every time we send a tweet, post to Facebook, check our bank balance or credit score, watch a YouTube video, or back up a computer to the cloud we are interacting with a data center. In this series, The Challenges of Opening a Data Center, we’ll talk in general terms about the factors that an organization needs to consider when opening a data center and the challenges that must be met in the process. Many of the factors to consider will be similar for opening a private data center or seeking space in a public data center, but we’ll assume for the sake of this discussion that our needs are more modest than requiring a data center dedicated solely to our own use (i.e. we’re not Google, Facebook, or China Telecom). Data center technology and management are changing rapidly, with new approaches to design and operation appearing every year. This means we won’t be able to cover everything happening in the world of data centers in our series, however, we hope our brief overview proves useful. A data center is the structure that houses a large group of networked computer servers typically used by businesses, governments, and organizations for the remote storage, processing, or distribution of large amounts of data. While many organizations will have computing services in the same location as their offices that support their day-to-day operations, a data center is a structure dedicated to 24/7 large-scale data processing and handling. Depending on how you define the term, there are anywhere from a half million data centers in the world to many millions. While it’s possible to say that an organization’s on-site servers and data storage can be called a data center, in this discussion we are using the term data center to refer to facilities that are expressly dedicated to housing computer systems and associated components, such as telecommunications and storage systems. The facility might be a private center, which is owned or leased by one tenant only, or a shared data center that offers what are called “colocation services,” and rents space, services, and equipment to multiple tenants in the center. A large, modern data center operates around the clock, placing a priority on providing secure and uninterrrupted service, and generally includes redundant or backup power systems or supplies, redundant data communication connections, environmental controls, fire suppression systems, and numerous security devices. Such a center is an industrial-scale operation often using as much electricity as a small town. There are a number of ways to classify data centers according to how they will be used, whether they are owned or used by one or multiple organizations, whether and how they fit into a topology of other data centers; which technologies and management approaches they use for computing, storage, cooling, power, and operations; and increasingly visible these days: how green they are. Data centers can be loosely classified into three types according to who owns them and who uses them. Exclusive Data Centers are facilities wholly built, maintained, operated and managed by the business for the optimal operation of its IT equipment. Some of these centers are well-known companies such as Facebook, Google, or Microsoft, while others are less public-facing big telecoms, insurance companies, or other service providers. Managed Hosting Providers are data centers managed by a third party on behalf of a business. The business does not own data center or space within it. Rather, the business rents IT equipment and infrastructure it needs instead of investing in the outright purchase of what it needs. 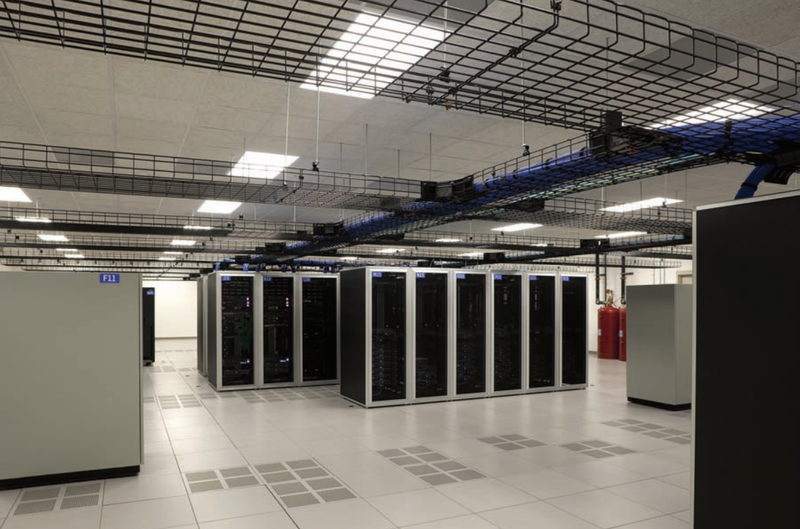 Colocation Data Centers are usually large facilities built to accommodate multiple businesses within the center. The business rents its own space within the data center and subsequently fills the space with its IT equipment, or possibly uses equipment provided by the data center operator. Backblaze, for example, doesn’t own its own data centers but colocates in data centers owned by others. 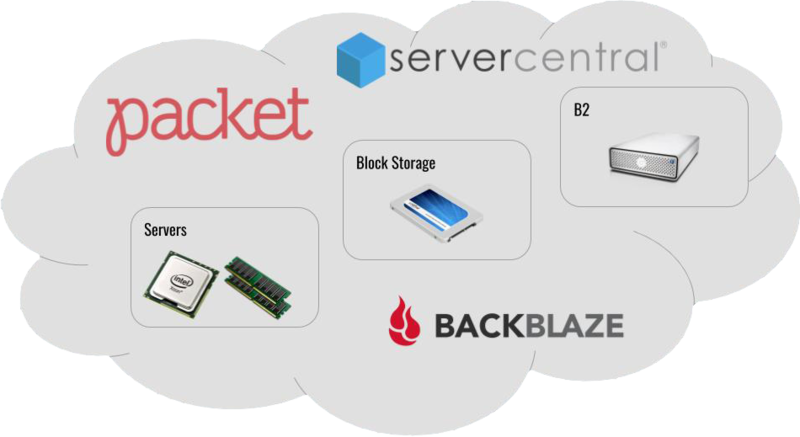 As Backblaze’s storage needs grow, Backblaze increases the space it uses within a given data center and/or expands to other data centers in the same or different geographic areas. When designing or selecting a data center, an organization needs to decide what level of availability is required for its services. The type of business or service it provides likely will dictate this. Any organization that provides real-time and/or critical data services will need the highest level of availability and redundancy, as well as the ability to rapidly failover (transfer operation to another center) when and if required. Some organizations require multiple data centers not just to handle the computer or storage capacity they use, but to provide alternate locations for operation if something should happen temporarily or permanently to one or more of their centers. Organizations operating data centers that can’t afford any downtime at all will typically operate data centers that have a mirrored site that can take over if something happens to the first site, or they operate a second site in parallel to the first one. These data center topologies are called Active/Passive, and Active/Active, respectively. Should disaster or an outage occur, disaster mode would dictate immediately moving all of the primary data center’s processing to the second data center. While some data center topologies are spread throughout a single country or continent, others extend around the world. Practically, data transmission speeds put a cap on centers that can be operated in parallel with the appearance of simultaneous operation. Linking two data centers located apart from each other — say no more than 60 miles to limit data latency issues — together with dark fiber (leased fiber optic cable) could enable both data centers to be operated as if they were in the same location, reducing staffing requirements yet providing immediate failover to the secondary data center if needed. This redundancy of facilities and ensured availability is of paramount importance to those needing uninterrupted data center services. Leadership in Energy and Environmental Design (LEED) is a rating system devised by the United States Green Building Council (USGBC) for the design, construction, and operation of green buildings. Facilities can achieve ratings of certified, silver, gold, or platinum based on criteria within six categories: sustainable sites, water efficiency, energy and atmosphere, materials and resources, indoor environmental quality, and innovation and design. Green certification has become increasingly important in data center design and operation as data centers require great amounts of electricity and often cooling water to operate. Green technologies can reduce costs for data center operation, as well as make the arrival of data centers more amenable to environmentally-conscious communities. 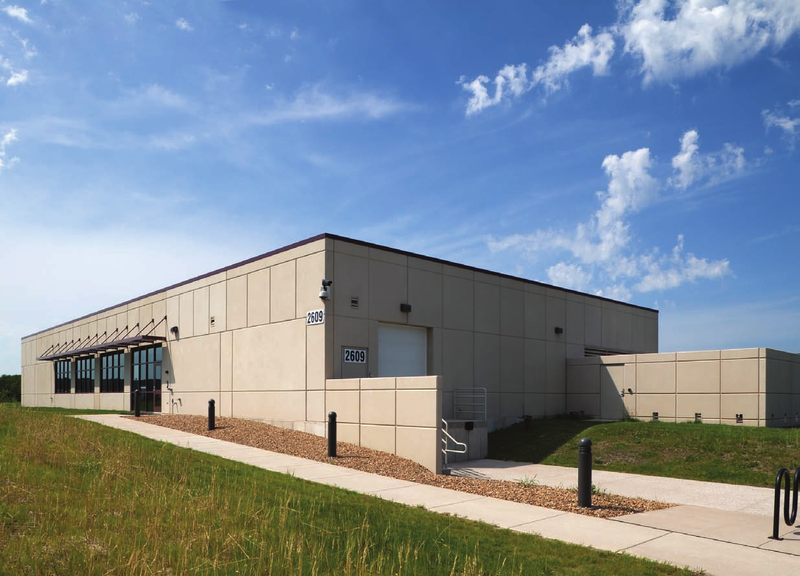 The ACT, Inc. data center in Iowa City, Iowa was the first data center in the U.S. to receive LEED-Platinum certification, the highest level available. There are numerous factors to consider when deciding to build or to occupy space in a data center. Aspects such as proximity to available power grids, telecommunications infrastructure, networking services, transportation lines, and emergency services can affect costs, risk, security and other factors that need to be taken into consideration. The size of the data center will be dictated by the business requirements of the owner or tenant. A data center can occupy one room of a building, one or more floors, or an entire building. Most of the equipment is often in the form of servers mounted in 19 inch rack cabinets, which are usually placed in single rows forming corridors (so-called aisles) between them. This allows staff access to the front and rear of each cabinet. Servers differ greatly in size from 1U servers (i.e. one “U” or “RU” rack unit measuring 44.50 millimeters or 1.75 inches), to Backblaze’s Storage Pod design that fits a 4U chassis, to large freestanding storage silos that occupy many square feet of floor space. Location will be one of the biggest factors to consider when selecting a data center and encompasses many other factors that should be taken into account, such as geological risks, neighboring uses, and even local flight paths. Access to suitable available power at a suitable price point is often the most critical factor and the longest lead time item, followed by broadband service availability. With more and more data centers available providing varied levels of service and cost, the choices increase each year. Data center brokers can be employed to find a data center, just as one might use a broker for home or other commercial real estate. Websites listing available colocation space, such as upstack.io, or entire data centers for sale or lease, are widely used. A common practice is for a customer to publish its data center requirements, and the vendors compete to provide the most attractive bid in a reverse auction. The center’s closeness to a business or organization may or may not be a factor in the site selection. The organization might wish to be close enough to manage the center or supervise the on-site staff from a nearby business location. The location of customers might be a factor, especially if data transmission speeds and latency are important, or the business or customers have regulatory, political, tax, or other considerations that dictate areas suitable or not suitable for the storage and processing of data. Local climate is a major factor in data center design because the climatic conditions dictate what cooling technologies should be deployed. In turn this impacts uptime and the costs associated with cooling, which can total as much as 50% or more of a center’s power costs. The topology and the cost of managing a data center in a warm, humid climate will vary greatly from managing one in a cool, dry climate. Nevertheless, data centers are located in both extremely cold regions and extremely hot ones, with innovative approaches used in both extremes to maintain desired temperatures within the center. A major obvious factor in locating a data center is the stability of the actual site as regards weather, seismic activity, and the likelihood of weather events such as hurricanes, as well as fire or flooding. 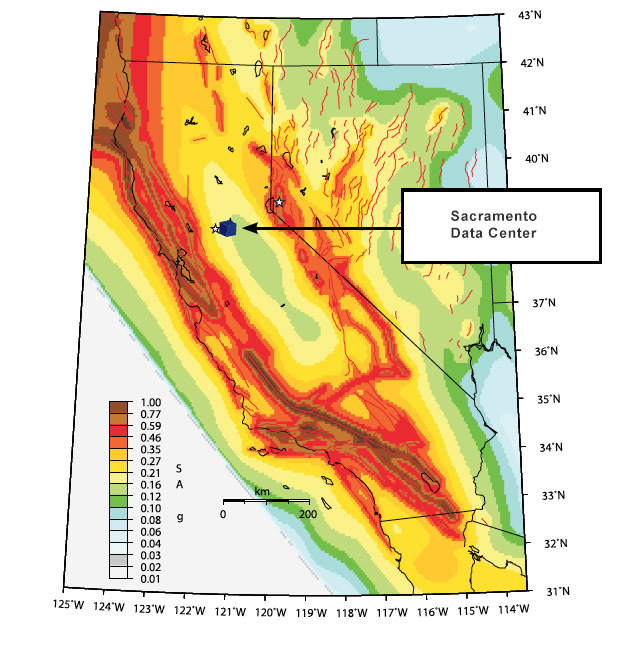 Backblaze’s Sacramento data center describes its location as one of the most stable geographic locations in California, outside fault zones and floodplains. 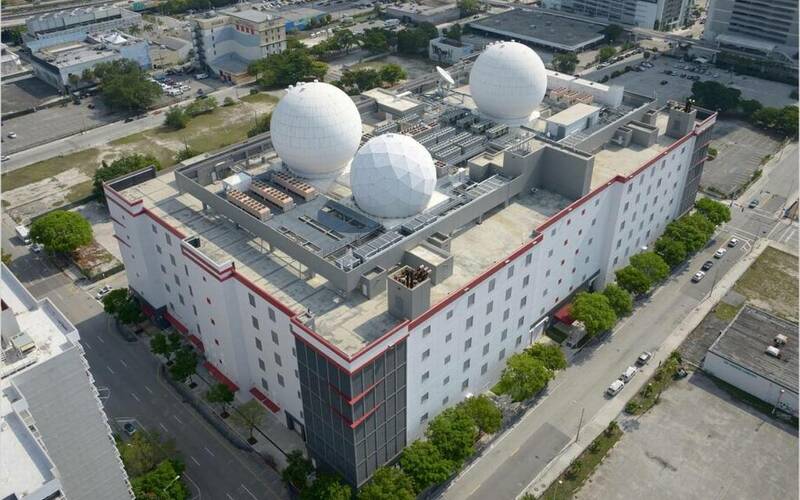 Sometimes the location of the center comes first and the facility is hardened to withstand anticipated threats, such as Equinix’s NAP of the Americas data center in Miami, one of the largest single-building data centers on the planet (six stories and 750,000 square feet), which is built 32 feet above sea level and designed to withstand category 5 hurricane winds. 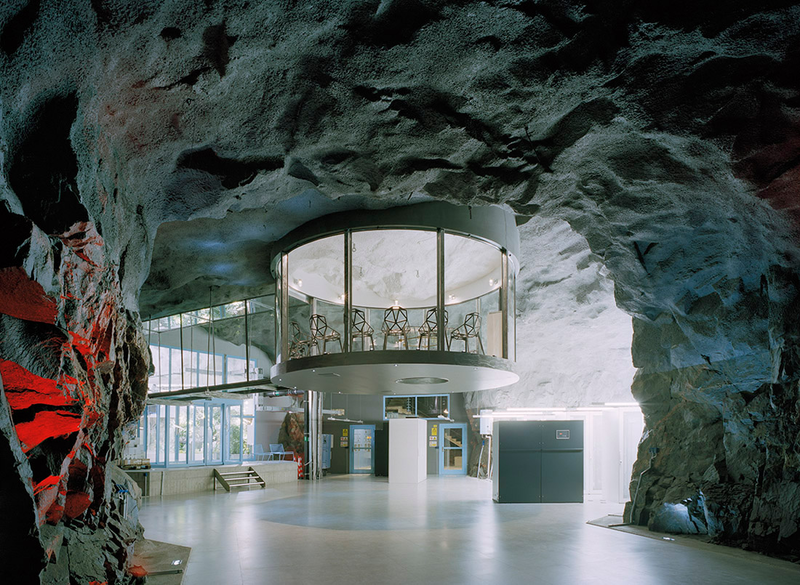 Most data centers don’t have the extreme protection or history of the Bahnhof data center, which is located inside the ultra-secure former nuclear bunker Pionen, in Stockholm, Sweden. It is buried 100 feet below ground inside the White Mountains and secured behind 15.7 in. thick metal doors. It prides itself on its self-described “Bond villain” ambiance. 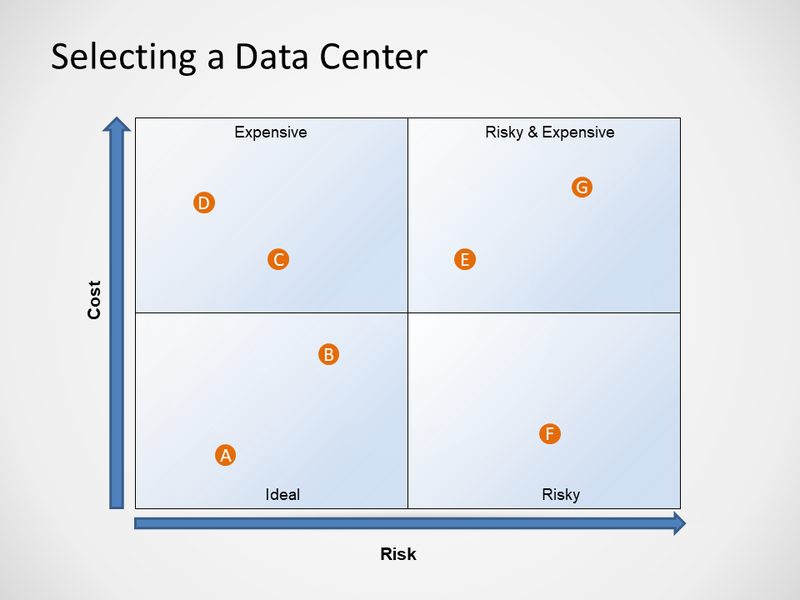 Usually, the data center owner or tenant will want to take into account the balance between cost and risk in the selection of a location. The Ideal quadrant below is obviously favored when making this compromise. Risk mitigation also plays a strong role in pricing. The extent to which providers must implement special building techniques and operating technologies to protect the facility will affect price. When selecting a data center, organizations must make note of the data center’s certification level on the basis of regulatory requirements in the industry. These certifications can ensure that an organization is meeting necessary compliance requirements. Electrical power usually represents the largest cost in a data center. The cost a service provider pays for power will be affected by the source of the power, the regulatory environment, the facility size and the rate concessions, if any, offered by the utility. At higher level tiers, battery, generator, and redundant power grids are a required part of the picture. Fault tolerance and power redundancy are absolutely necessary to maintain uninterrupted data center operation. Parallel redundancy is a safeguard to ensure that an uninterruptible power supply (UPS) system is in place to provide electrical power if necessary. The UPS system can be based on batteries, saved kinetic energy, or some type of generator using diesel or another fuel. The center will operate on the UPS system with another UPS system acting as a backup power generator. If a power outage occurs, the additional UPS system power generator is available. Many data centers require the use of independent power grids, with service provided by different utility companies or services, to prevent against loss of electrical service no matter what the cause. Some data centers have intentionally located themselves near national borders so that they can obtain redundant power from not just separate grids, but from separate geopolitical sources. Higher redundancy levels required by a company will of invariably lead to higher prices. If one requires high availability backed by a service-level agreement (SLA), one can expect to pay more than another company with less demanding redundancy requirements. That’s it for part 1 of this post. In subsequent posts, we’ll take a look at some other factors to consider when moving into a data center such as network bandwidth, cooling, and security. We’ll take a look at what is involved in moving into a new data center (including stories from Backblaze’s experiences). We’ll also investigate what it takes to keep a data center running, and some of the new technologies and trends affecting data center design and use. You can discover all posts on our blog tagged with “Data Center” by following the link https://www.backblaze.com/blog/tag/data-center/. The second part of this series on The Challenges of Opening a Data Center will be posted later this week. Use the Join button above to receive notification of future posts in this series. The post The Challenges of Opening a Data Center — Part 1 appeared first on Backblaze Blog | Cloud Storage & Cloud Backup. 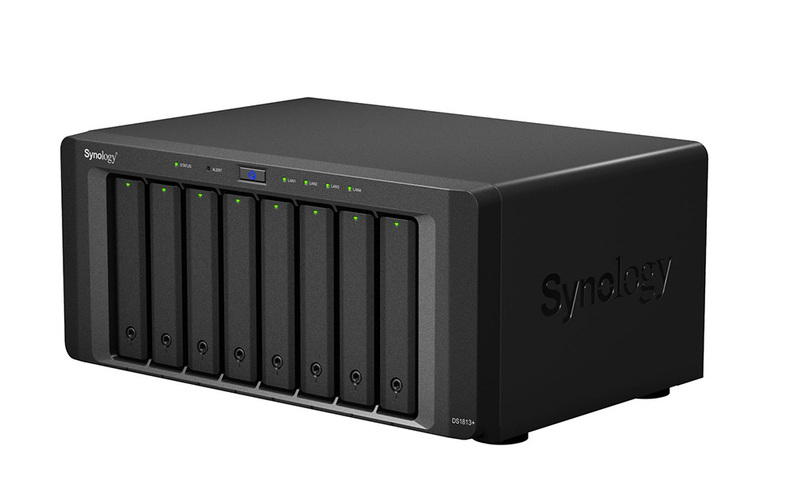 In the first post in this series, we discussed how to connect Veeam to the B2 cloud using Synology. 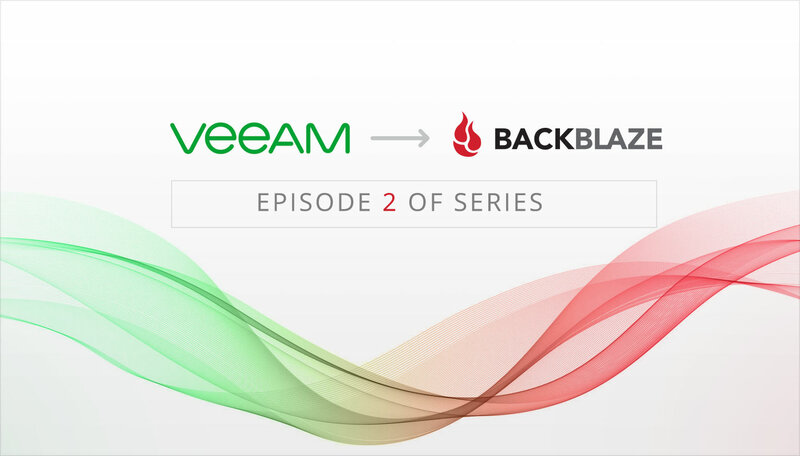 In this post, we continue our Veeam/B2 series with a discussion of how to back up Veeam to the Backblaze B2 Cloud using StarWind VTL. StarWind provides “VTL” (Virtual Tape Library) technology that enables users to back up their “VMs” (virtual machines) from Veeam to on-premise or cloud storage. StarWind does this using standard “LTO” (Linear Tape-Open) protocols. This appeals to organizations that have LTO in place since it allows adoption of more scalable, cost efficient cloud storage without having to update the internal backup infrastructure. Why An Additional Backup in the Cloud? Common backup strategy, known as 3-2-1, dictates having three copies at a minimum of active data. Two copies are stored locally and one copy is in another location. Relying solely on on-site redundancy does not guarantee data protection after a catastrophic or temporary loss of service affecting the primary data center. To reach maximum data security, an on-premises private cloud backup combined with an off-site public cloud backup, known as hybrid cloud, provides the best combination of security and rapid recovery when required. Why Consider a Hybrid Cloud Solution? Having a backup strategy that combines on-premise storage with public cloud storage in a single or multi-cloud configuration is becoming the solution of choice for organizations that wish to eliminate dependence on vulnerable on-premises storage. It also provides reliable and rapidly deployed recovery when needed. If an organization requires restoration of service as quickly as possible after an outage or disaster, it needs to have a backup that isn’t dependent on the same network. That means a backup stored in the cloud that can be restored to another location or cloud-based compute service and put into service immediately after an outage. Some organizations will already have made a significant investment in software and hardware that supports LTO protocols. Specifically, they are using Veeam to back up their VMs onto physical tape. Using StarWind to act as a VTL with Veeam enables users to save time and money by connecting their on-premises Veeam Backup & Replication archives to Backblaze B2 Cloud Storage. Why Veeam, StarWind VTL, and Backblaze B2? What are the primary reasons that an organization would want to adopt Veeam + StarWind VTL + B2 as a hybrid cloud backup solution? You are already invested in Veeam along with LTO software and hardware. Using Veeam plus StarWind VTL with already-existing LTO infrastructure enables organizations to quickly and cost-effectively benefit from cloud storage. You require rapid and reliable recovery of service should anything disrupt your primary data center. Having a backup in the cloud with B2 provides an economical primary or secondary cloud storage solution and enables fast restoration to a current or alternate location, as well as providing the option to quickly bring online a cloud-based compute service, thereby minimizing any loss of service and ensuring business continuity. Backblaze’s B2 is an ideal solution for backing up Veeam’s backup repository due to B2’s combination of low-cost and high availability compared to other cloud solutions such as Microsoft Azure or Amazon AWS. Using Veeam, StarWind VTL, and Backblaze B2 cloud storage is a superior alternative to tape as B2 offers better economics, instant access, and faster recovery. 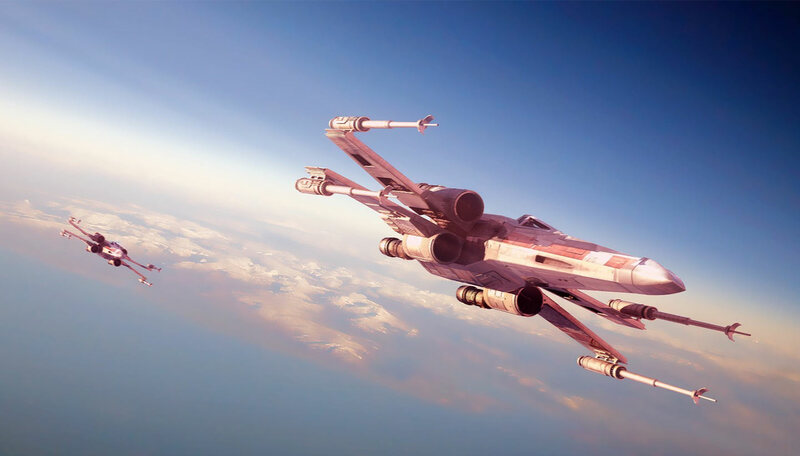 The post Connect Veeam to the B2 Cloud: Episode 2 — Using StarWind VTL appeared first on Backblaze Blog | Cloud Storage & Cloud Backup. I often encounter people experiencing frustration as they attempt to scale their e-commerce or WordPress site—particularly around the cost and complexity related to scaling. When I talk to customers about their scaling plans, they often mention phrases such as horizontal scaling and microservices, but usually people aren’t sure about how to dive in and effectively scale their sites. Now let’s talk about different scaling options. For instance if your current workload is in a traditional data center, you can leverage the cloud for your on-premises solution. This way you can scale to achieve greater efficiency with less cost. It’s not necessary to set up a whole powerhouse to light a few bulbs. If your workload is already in the cloud, you can use one of the available out-of-the-box options. Designing your API in microservices and adding horizontal scaling might seem like the best choice, unless your web application is already running in an on-premises environment and you’ll need to quickly scale it because of unexpected large spikes in web traffic. So how to handle this situation? Take things one step at a time when scaling and you may find horizontal scaling isn’t the right choice, after all. For example, assume you have a tech news website where you did an early-look review of an upcoming—and highly-anticipated—smartphone launch, which went viral. The review, a blog post on your website, includes both video and pictures. Comments are enabled for the post and readers can also rate it. For example, if your website is hosted on a traditional Linux with a LAMP stack, you may find yourself with immediate scaling problems. Where are images and videos stored? How many read/write requests are received per second? Per minute? Are these synchronous or asynchronous requests? How is the website handling sessions? Do you have any compliance requests—like the Payment Card Industry Data Security Standard (PCI DSS compliance) —if your website is using its own payment gateway? How are you recording customer behavior data and fulfilling your analytics needs? What are your loading balancing considerations (scaling, caching, session maintenance, etc.)? Step 1: Ease server load. We need to quickly handle spikes in traffic, generated by activity on the blog post, so let’s reduce server load by moving image and video to some third -party content delivery network (CDN). AWS provides Amazon CloudFront as a CDN solution, which is highly scalable with built-in security to verify origin access identity and handle any DDoS attacks. CloudFront can direct traffic to your on-premises or cloud-hosted server with its 113 Points of Presence (102 Edge Locations and 11 Regional Edge Caches) in 56 cities across 24 countries, which provides efficient caching. Step 2: Reduce read load by adding more read replicas. MySQL provides a nice mirror replication for databases. 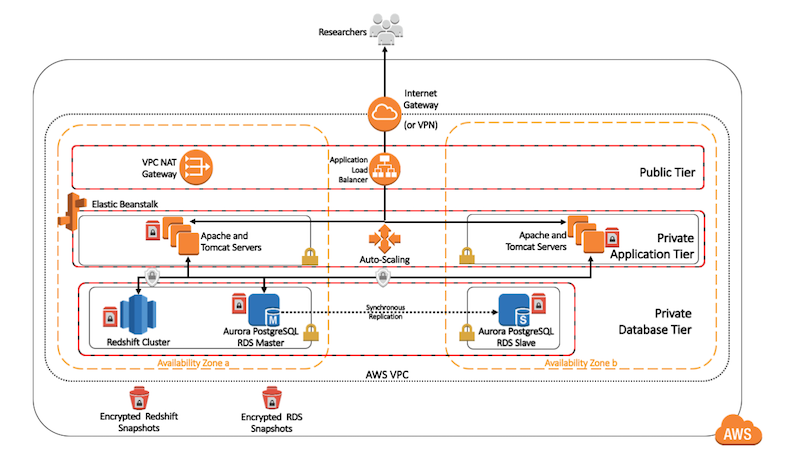 Oracle has its own Oracle plug for replication and AWS RDS provide up to five read replicas, which can span across the region and even the Amazon database Amazon Aurora can have 15 read replicas with Amazon Aurora autoscaling support. If a workload is highly variable, you should consider Amazon Aurora Serverless database to achieve high efficiency and reduced cost. While most mirror technologies do asynchronous replication, AWS RDS can provide synchronous multi-AZ replication, which is good for disaster recovery but not for scalability. Asynchronous replication to mirror instance means replication data can sometimes be stale if network bandwidth is low, so you need to plan and design your application accordingly. I recommend that you always use a read replica for any reporting needs and try to move non-critical GET services to read replica and reduce the load on the master database. In this case, loading comments associated with a blog can be fetched from a read replica—as it can handle some delay—in case there is any issue with asynchronous reflection. Step 3: Reduce write requests. This can be achieved by introducing queue to process the asynchronous message. Amazon Simple Queue Service (Amazon SQS) is a highly-scalable queue, which can handle any kind of work-message load. You can process data, like rating and review; or calculate Deal Quality Score (DQS) using batch processing via an SQS queue. If your workload is in AWS, I recommend using a job-observer pattern by setting up Auto Scaling to automatically increase or decrease the number of batch servers, using the number of SQS messages, with Amazon CloudWatch, as the trigger. 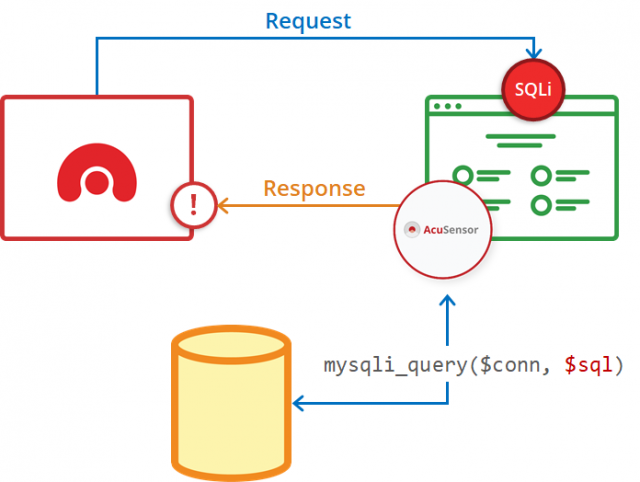 For on-premises workloads, you can use SQS SDK to create an Amazon SQS queue that holds messages until they’re processed by your stack. Or you can use Amazon SNS to fan out your message processing in parallel for different purposes like adding a watermark in an image, generating a thumbnail, etc. Step 4: Introduce a more robust caching engine. You can use Amazon Elastic Cache for Memcached or Redis to reduce write requests. Memcached and Redis have different use cases so if you can afford to lose and recover your cache from your database, use Memcached. If you are looking for more robust data persistence and complex data structure, use Redis. In AWS, these are managed services, which means AWS takes care of the workload for you and you can also deploy them in your on-premises instances or use a hybrid approach. Step 5: Scale your server. If there are still issues, it’s time to scale your server. For the greatest cost-effectiveness and unlimited scalability, I suggest always using horizontal scaling. However, use cases like database vertical scaling may be a better choice until you are good with sharding; or use Amazon Aurora Serverless for variable workloads. It will be wise to use Auto Scaling to manage your workload effectively for horizontal scaling. Also, to achieve that, you need to persist the session. Amazon DynamoDB can handle session persistence across instances. If your server is on premises, consider creating a multisite architecture, which will help you achieve quick scalability as required and provide a good disaster recovery solution. You can pick and choose individual services like Amazon Route 53, AWS CloudFormation, Amazon SQS, Amazon SNS, Amazon RDS, etc. depending on your needs. In this architecture, you can run your regular workload on premises, and use your AWS workload as required for scalability and disaster recovery. Using Route 53, you can direct a precise percentage of users to an AWS workload. In this architecture, you are using a multi-AZ distributed workload for high availability. You can have a multi-region setup and use Route53 to distribute your workload between AWS Regions. CloudFront helps you to scale and distribute static content via an S3 bucket and DynamoDB, maintaining your application state so that Auto Scaling can apply horizontal scaling without loss of session data. At the database layer, RDS with multi-AZ standby provides high availability and read replica helps achieve scalability. This is a high-level strategy to help you think through the scalability of your workload by using AWS even if your workload in on premises and not in the cloud…yet. I highly recommend creating a hybrid, multisite model by placing your on-premises environment replica in the public cloud like AWS Cloud, and using Amazon Route53 DNS Service and Elastic Load Balancing to route traffic between on-premises and cloud environments. AWS now supports load balancing between AWS and on-premises environments to help you scale your cloud environment quickly, whenever required, and reduce it further by applying Amazon auto-scaling and placing a threshold on your on-premises traffic using Route 53. Over the last couple of days, there has been a lot of discussion about a pair of security vulnerabilities nicknamed Spectre and Meltdown. These affect all modern Intel processors, and (in the case of Spectre) many AMD processors and ARM cores. Spectre allows an attacker to bypass software checks to read data from arbitrary locations in the current address space; Meltdown allows an attacker to read arbitrary data from the operating system kernel’s address space (which should normally be inaccessible to user programs). Both vulnerabilities exploit performance features (caching and speculative execution) common to many modern processors to leak data via a so-called side-channel attack. Happily, the Raspberry Pi isn’t susceptible to these vulnerabilities, because of the particular ARM cores that we use. While the processor in your computer doesn’t execute Python directly, the statements here are simple enough that they roughly correspond to a single machine instruction. We’re going to gloss over some details (notably pipelining and register renaming) which are very important to processor designers, but which aren’t necessary to understand how Spectre and Meltdown work. For a comprehensive description of processor design, and other aspects of modern computer architecture, you can’t do better than Hennessy and Patterson’s classic Computer Architecture: A Quantitative Approach. What is a scalar processor? The simplest sort of modern processor executes one instruction per cycle; we call this a scalar processor. Our example above will execute in six cycles on a scalar processor. Examples of scalar processors include the Intel 486 and the ARM1176 core used in Raspberry Pi 1 and Raspberry Pi Zero. What is a superscalar processor? The obvious way to make a scalar processor (or indeed any processor) run faster is to increase its clock speed. However, we soon reach limits of how fast the logic gates inside the processor can be made to run; processor designers therefore quickly began to look for ways to do several things at once. Examples of superscalar processors include the Intel Pentium, and the ARM Cortex-A7 and Cortex-A53 cores used in Raspberry Pi 2 and Raspberry Pi 3 respectively. Raspberry Pi 3 has only a 33% higher clock speed than Raspberry Pi 2, but has roughly double the performance: the extra performance is partly a result of Cortex-A53’s ability to dual-issue a broader range of instructions than Cortex-A7. What is an out-of-order processor? Going back to our example, we can see that, although we have a dependency between v and w, we have other independent instructions later in the program that we could potentially have used to fill the empty pipe during the second cycle. An out-of-order superscalar processor has the ability to shuffle the order of incoming instructions (again subject to dependencies) in order to keep its pipelines busy. Examples of out-of-order processors include the Intel Pentium 2 (and most subsequent Intel and AMD x86 processors), and many recent ARM cores, including Cortex-A9, -A15, -A17, and -A57. Reordering sequential instructions is a powerful way to recover more instruction-level parallelism, but as processors become wider (able to triple- or quadruple-issue instructions) it becomes harder to keep all those pipes busy. Modern processors have therefore grown the ability to speculate. Speculative execution lets us issue instructions which might turn out not to be required (because they are branched over): this keeps a pipe busy, and if it turns out that the instruction isn’t executed, we can just throw the result away. Now we have dependencies from t to u to v, and from w to x to y, so a two-way out-of-order processor without speculation won’t ever be able to fill its second pipe. It spends three cycles computing t, u, and v, after which it knows whether the body of the if statement will execute, in which case it then spends three cycles computing w, x, and y. Assuming the if (a branch instruction) takes one cycle, our example takes either four cycles (if v turns out to be zero) or seven cycles (if v is non-zero). Cycle counting becomes less well defined in speculative out-of-order processors, but the branch and conditional update of w, x, and y are (approximately) free, so our example executes in (approximately) three cycles. In the good old days*, the speed of processors was well matched with the speed of memory access. My BBC Micro, with its 2MHz 6502, could execute an instruction roughly every 2µs (microseconds), and had a memory cycle time of 0.25µs. Over the ensuing 35 years, processors have become very much faster, but memory only modestly so: a single Cortex-A53 in a Raspberry Pi 3 can execute an instruction roughly every 0.5ns (nanoseconds), but can take up to 100ns to access main memory. In practice, programs tend to access memory in relatively predictable ways, exhibiting both temporal locality (if I access a location, I’m likely to access it again soon) and spatial locality (if I access a location, I’m likely to access a nearby location soon). 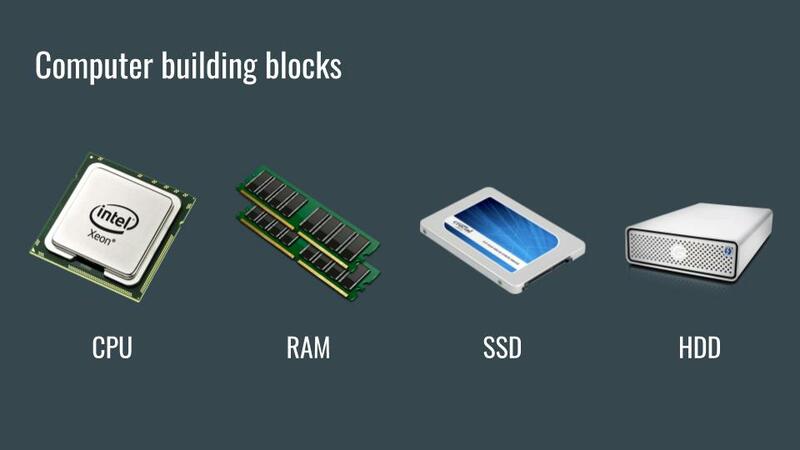 Caching takes advantage of these properties to reduce the average cost of access to memory. From the point of view of Spectre and Meltdown, the important point is that if you can time how long a memory access takes, you can determine whether the address you accessed was in the cache (short time) or not (long time). What is a side channel? Spectre and Meltdown are side-channel attacks which deduce the contents of a memory location which should not normally be accessible by using timing to observe whether another location is present in the cache. will read from either address 0x000 or address 0x100 depending on the eighth bit of the result of the illegal read. Because v is zero, the results of the speculative instructions will be discarded, and execution will continue. If we time a subsequent access to one of those addresses, we can determine which address is in the cache. Congratulations: you’ve just read a single bit from the kernel’s address space! The real Meltdown exploit is more complex than this, but the principle is the same. Spectre uses a similar approach to subvert software array bounds checks. Modern processors go to great lengths to preserve the abstraction that they are in-order scalar machines that access memory directly, while in fact using a host of techniques including caching, instruction reordering, and speculation to deliver much higher performance than a simple processor could hope to achieve. Meltdown and Spectre are examples of what happens when we reason about security in the context of that abstraction, and then encounter minor discrepancies between the abstraction and reality. The lack of speculation in the ARM1176, Cortex-A7, and Cortex-A53 cores used in Raspberry Pi render us immune to attacks of the sort. The post Why Raspberry Pi isn’t vulnerable to Spectre or Meltdown appeared first on Raspberry Pi. In security testing, much like most things technical there are two very contrary methods, Dynamic Application Security Testing or DAST and Static Application Security Testing or SAST. Dynamic testing relying on a black-box external approach, attacking the application in it’s running state as a regular malicious attacker would. Static testing is more white-box looking at the source-code of the application for potential flaws. Personally, I don’t see them as ‘vs’ each other, but more like they compliment each other – it’s easy to have SAST tests as part of your CI/CD pipeline with tools like Code Climate. Read the rest of DAST vs SAST – Dynamic Application Security Testing vs Static now! Only available at Darknet.